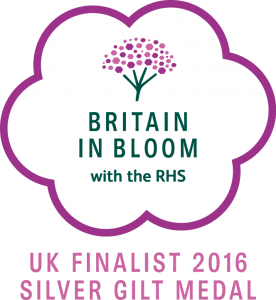 After hearing the news in early 2016 that Silloth had been chosen as a finalist in the UK wide RHS ‘Britain in Bloom’ Campaign, the Council’s Parks Committee discussed the way forward and called a meeting of local people, who subsequently formed ‘Silloth in Bloom.’ The clear aim was to continue supporting existing volunteer projects and take innovative new ideas forward. 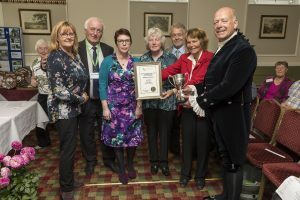 Silloth’s bid to win an award in the Britain in Bloom Campaign was supported by volunteers from the local community who are extremely proud of the town and its heritage. 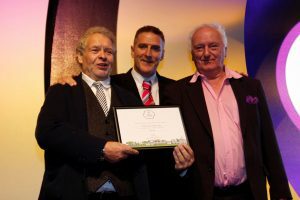 2016 – Bill Jefferson OBE was recognised for his exceptional commitment and dedication to Britain in Bloom in his community and was presented with an RHS Britain in Bloom Community Champion Award. The Awards are a tremendous achievement for the whole town and reflects all the hard work and preparation put in by everyone concerned, over many months. 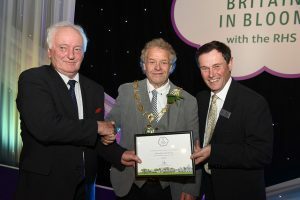 The ethos of Cumbria in Bloom is the participation of people working together to help retain, develop and improve the environment of their own communities. This is something Silloth has very much taken on board and needs a huge pat on the back for what it’s achieved.